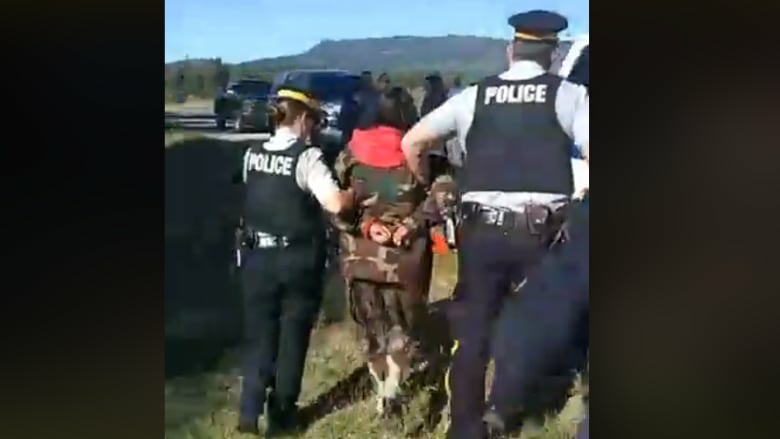 A woman who was arrested after a Trans Mountain pipeline protest in British Columbia's North Thompson Provincial Park Saturday morning has been released from custody. 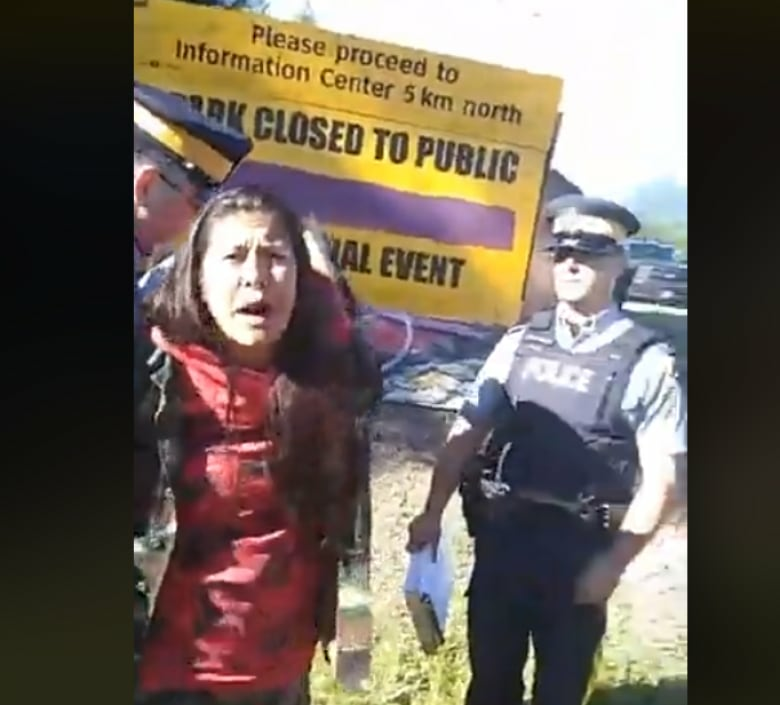 Kanahus Manuel, a spokesperson for the activist group Tiny House Warriors, was arrested by the RCMP after defying an evacuation order from the B.C. Parks service delivered on Thursday. Facebook video shot by the activists show Manuel being handcuffed and taken away by officers. The protesters are members of the Secwepemc First Nation who call themselves the "Tiny House Warriors." The group has been occupying a site in the provincial park located north of Kamloops, B.C., since last week in protest against the Trans Mountain pipeline project. The protest had originally begun as a three-day cultural gathering from July 6 to 9 and grew into a Trans Mountain blockade by July 11. Manuel said the group is asserting their right to area, which she calls "unceded, unsurrendered, Secwepemc territory." The group has brought in three tiny houses which were built over the past 10 months and Manuel said their plan is to place these and others into the pipeline's construction path. 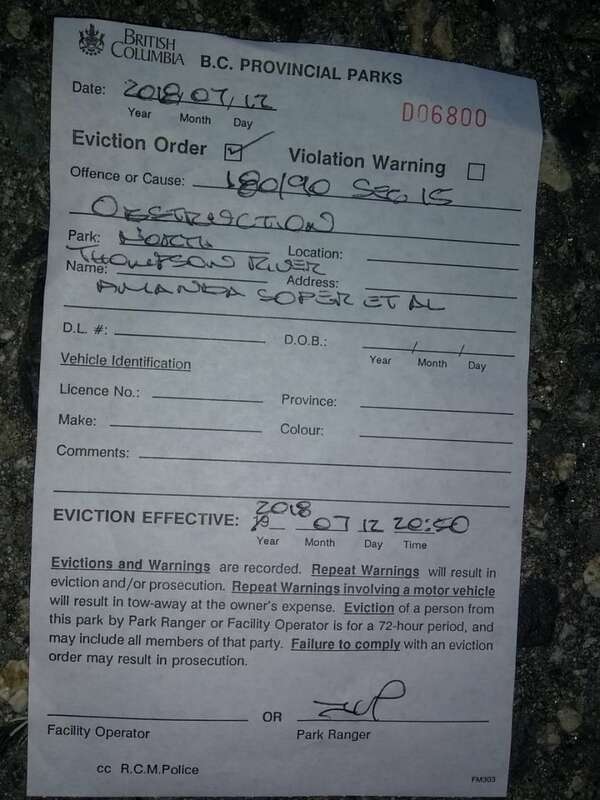 On Thursday, Manuel tweeted the eviction notice her group had received from B.C. Parks. Dawn Roberts with the B.C. RCMP says officers went to North Thompson Provincial Park to meet with the protesters and discuss the eviction notice, which Roberts says was successful after Manuel's arrest. She said the liaison team continued to have conversations with protesters after the arrest, and the remaining protesters began to pack up the tiny houses they'd built. Snutetkwe Manuel says her sister has been charged with mischief after the group refused to leave the park, although Roberts did not confirm that formal charges have been filed. An RCMP statement said Manuel was released from custody late Saturday afternoon on a series of conditions and a promise to appear in court at a later date. Additional members of the protest were told they could leave the park on their own or be arrested themselves.